Don't you hate all those leaves with brown tips? Suppose you could finally get answers to help make your Dracena look like a professional was caring for them. Imagine your home with beautiful looking plants. Stop and think about it. The most powerful way to learn proper houseplant care - is by growing 1,000's of house plants! You quickly learn what makes them thrive. Simply put, experience is life's great teacher. My name is Gary Antosh and I've grown house plants professionally for over 25 years. Needless to say, that's where the big problem lies…. The problem? As plants leave the nursery, ALL the "how to" care information passed to the hands of the local nursery or garden center. They are like an office temp... they know some basics but lack the details. You ask plant care questions... But the answers and your efforts produce unsatisfactory results! ... and you become Frustrated with plants... period! That's why I took action and created a simple, extremely effective, easy to read, easy to apply, Dracaena care guide that anyone can put to practice. It could take you years and can cost a small fortune to figure out the right combinations that make some plants look great - while others get brown tips and look sickly. Caring for Dracaenas is not difficult! In fact, you'll be amazed at how simple it is to succeed with houseplants in no time flat... Nothing can stop you --- I repeat, nothing --- from succeeding with houseplants if you have the right information! One reason you'll be off to such a quick start... and getting results... the book is written in Plain English! NO "scientific mumbo jumbo"! I know you're probably skeptical, but think about this - If you keep giving the same Dracaena care you are currently providing - you'll keep getting the same pathetic results. 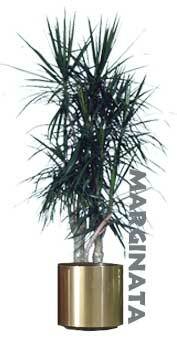 Would Improve Your Dracaena Care and Looks? Knowing what conditions cause brown tips and which varieties are more likely to get brown tips. What is the right time to fertilize and should you use a special type? When is the right time to water and how often should you water? How to enjoy your plants longer and spend less time with better results. How anyone can learn to keep their plants looking good. Plants and Quit Wasting Time and Giving Improper Care! The best part... this plant care information doesn't require spending big bucks on light meters, fertilizers or special pots. However, I do realize this information could easily be worth thousands of dollars if you had to buy plants to test this information - like I have! At bare bones minimum you're getting over 25 years of hands on, in the field experience and thousands of dollars worth of plant care testing at your disposal. In fact, it's information only seasoned professionals know. So what's the catch? Why am I practically giving this one-of-a-kind professional resource away? I'm only charging $7 for this report - TODAY, and not giving this report away, for 3 reasons. $7 puts the report within reach of the vast majority of people. It's not too expensive for even the humblest beginning plant person. Anyone who's not serious enough about improving and learning better house plant care to invest $7 into this report isn't going to take the time to use the methods laid out in the report anyway. Since you'll be downloading the Dracaena Care Guide report directly from the Internet I have no inventory and no fulfillment costs. The more care information you have and understand... the better your plants will look. The better your plants look and the more successful you are in caring for your plants. The more plants you'll buy. If you're serious about Your Dracaena, grab this report right now and read it today. Yes, for the price of a fast food dinner you will tap into my 25 plus years of house plant growing experience... Plus miss this offer... and the price goes back to $17! So if you're serious about plant care, click the "Buy Now" button below. If you need to justify the expense, skip going to McDonald's for dinner once this week and it's paid for. P.S. Seriously, for just $7 I'll teach you How to Care for Your Dracaena. How can you pass on that?